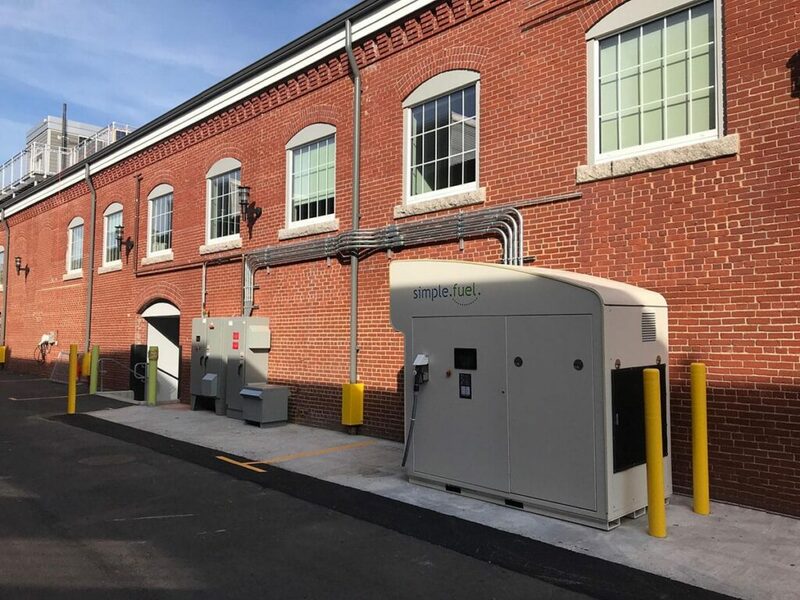 (Warminster PA)- It is with great honor that PDC Machines- with its partner Ivys Energy Solutions- announces our second commercial installation of SimpleFuel® in Japan. From Toyota Motor Corporation (Toyota), “ Toyota announces today that it has newly introduced SimpleFuel® to its Motomachi Plant in Toyota City, Aichi Prefecture. SimpleFuel® is a small water electrolysis-based machine for hydrogen generation and filling that can produce, store, and supply hydrogen by making use of electricity generated from solar power, a renewable energy resource. 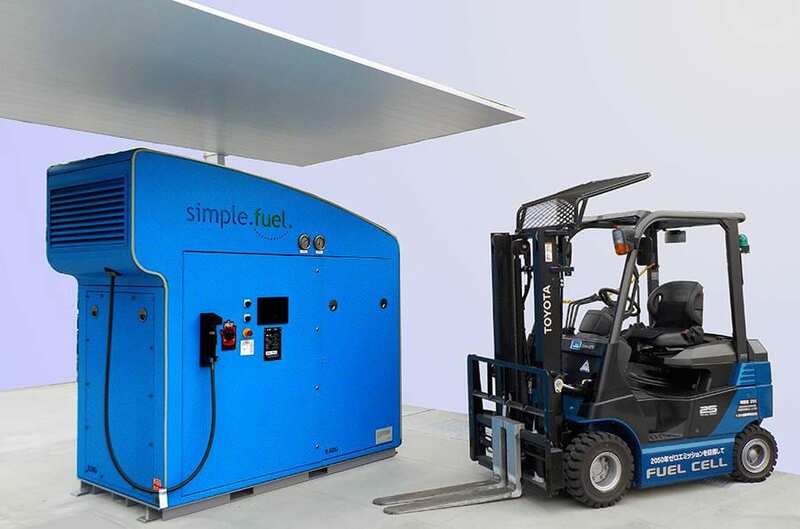 SimpleFuel® is a simplified hydrogen station that uses electricity from solar panels at the plant site to produce low-carbon hydrogen from the electrolysis of water, which is then supplied to fuel-cell forklifts (FC forklifts) after it is compressed and pressurized. It can produce up to 99 Nm3/day (approx. 8.8 kg/day) of hydrogen, enough to fuel seven or eight FC forklifts. Its compact size means it can be installed in small spaces, making it suitable for refueling FC forklifts within the plant. 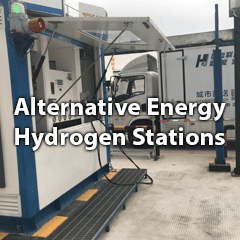 A hydrogen station has been running at Motomachi Plant since March 2018, in conjunction with the increasing numbers of FC forklifts in use there. By working to support fueling through the use of SimpleFuel®, with an eye toward the rising demand for hydrogen, Toyota aims to reduce CO2 emissions at the Motomachi Plant and intends to support the accumulation of new technologies and knowledge. To reduce CO2 emissions at its plants, Toyota intends to replace existing conventional forklifts with fuel cell forklifts. This endeavor began at Motomachi Plant, with the introduction of two Toyota Industries Corporation FC forklifts in 2017, followed by an additional twenty in 2018. This year, the Ministry of the Environment’s ‘Subsidy for Business Costs, etc. for Measures Combating Carbon Dioxide Emissions (Project to Promote Low Carbon Social Infrastructures that Utilize Renewable Energy-based Hydrogen)’ makes possible the introduction of SimpleFuel™ and an additional 50 FC forklifts. Through the Aichi Low-Carbon Hydrogen Supply Chain Promotion Association, along with Aichi Prefecture and related local authorities and companies, Toyota is promoting the low-carbon footprint of the hydrogen supply chain as a whole through use of renewable resources and the concept of ‘production, transportation, and use.’ This plan to use hydrogen produced from electricity from renewable sources generated at Motomachi Plant has now been certified through Aichi Prefecture’s Low Carbon Hydrogen Certification System. The SimplFuel® hydrogen refueling appliance at Toyota’s Motomachi plant will have its grand opening on April 11th 2019. IVYS Energy Solutions will be soon be opening an automotive SimpleFuel® station in Somerville MA, in collaboration with the Massachusetts Clean Energy Center, Hyundai America Technical Center, the City of Somerville, and Greentown Labs – Americas largest clean tech incubator. This installation will showcase the SimpleFuel® hydrogen refueling appliance as the perfect urban all in one refueling solution for tight spaces, easy permitting and convenient fleet vehicle refueling operation. The Simplefuel® Hydrogen Appliance was developed in response to the U.S. Department of Energy’s H2 Refuel H-Prize competition, challenging American innovators to create solutions that could provide a path for greater adoption of FCEVs by drastically improving the performance and affordability of small- scale hydrogen fueling infrastructure. 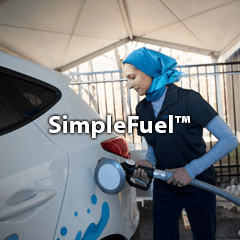 The Simplefuel® team were awarded the H-Prize in early 2017 and have been commercializing and deploying both industrial and automotive versions of the product in selected customer applications in the past two years. 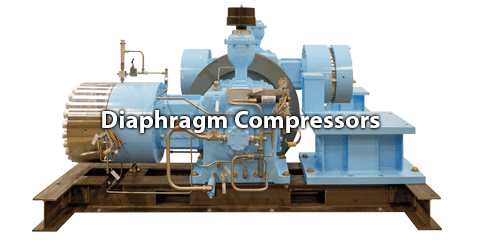 PDC Machines is a compression technology company based in southeastern PA and has been the world leader in high purity compression solutions for over 42 years. PDC Machines believes in a decarbonized mobility future and strives to enable the deployment of hydrogen infrastructure worldwide. With more than 410 units deployed around the globe PDC leads the industry and is prepared for commercialization. Ivys Energy Solutions, building on its founders’ decades of experience in the hydrogen fuel cell industry, is developing innovative technologies and products to make a fundamental impact on automotive hydrogen refueling infrastructure, enabling the successful near-term rollout of automotive and industrial fuel cell vehicles.